I often speak with women who are curious – and sometimes apprehensive – about birth control. This gives me the opportunity to clear up misconceptions about various contraceptive methods, especially because I’ve found that many women have ideas about these contraceptives that don’t match today’s reality. I see many women in Washington, D.C., who have demanding careers and busy lives. The last thing on their minds is having a baby. That isn’t to say they never want to have children, but they certainly want to have control over when that happens. These women might be missing out on birth control options that would work great for their lifestyle simply because they don’t have all the facts or even know that these options exist. 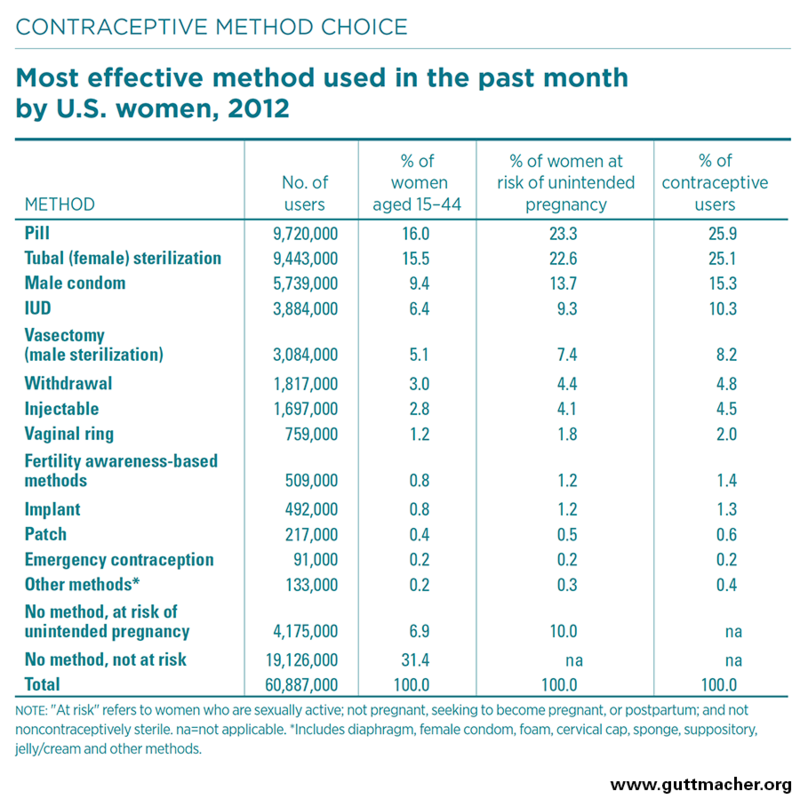 Which is more effective: birth control pills or an intrauterine device (IUD)? The answer is a bit tricky. In theory, the birth control pill can be just as effective as the IUD: preventing pregnancy more than 99 percent of the time. But you need to take the pill every day, at the same time each day, and every missed dose reduces its effectiveness. The “typical” effectiveness of the pill – or how effective it is during measured, actual use that accounts for incorrect and inconsistent doses – is only 91 percent. Things come up. Life happens. You forget to pack your pills before leaving on a trip or become overwhelmed with school or work and forget to take them. Regardless of the reason, many women find it a hassle to stick to the birth control pill. Unfortunately, not enough women know enough about their options – or even know they have options beyond the pill and condoms. Long-acting reversible contraception (LARC) refers to birth control methods that are inserted, implanted or injected into the body and don’t require a woman to actively manage her contraception. LARCs can block pregnancy for extended periods of time – up to 10 years depending on the method. IUDs: Intrauterine devices are inserted into the uterus and can prevent pregnancy for up to 10 years. Your doctor can insert the IUD right in their office. There’s no need for an operating room. There are two types: a hormonal IUD and a copper IUD, which does not contain hormones. Birth control implants: Implants such as Nexplanon consist of a rod inserted under the skin of the arm that periodically releases hormones to prevent pregnancy. They last up to three years. Injections: Contraceptive injections such as Depo-Provera contain the hormone progestogen and last up to three months. The great thing about LARCs is that using them “perfectly” is effortless. Once the device is inserted, it prevents pregnancy with no further work on your part. As the “reversible” part of the name suggests, these devices are not permanent. If you want to become pregnant, we’ll simply remove the LARC and your fertility will return almost immediately. Safety: You may have heard from your grandmother or mother that IUDs are not safe. This is mostly because of the Dalkon Shield, which was commonly used in the 1970s and resulted in serious complications, even death, for the women who used it. Today’s IUDs are much safer, and serious side effects are rare. Who can use them: In the past, IUDs were only recommended for women who had already given birth. Today, they can be used in women as young as 16 and through the perimenopausal years. IUDs are a safe, effective method of birth control for nearly all women. I’m glad to see this reality reflected in the number of women who are choosing to use an IUD. In 1995, just .8 percent of women on birth control used an IUD for contraception. By 2012, that number had grown to 10.3 percent, or nearly 4 million women. That’s almost a 1,200 percent increase! The birth control pill is still the most popular contraceptive method, but it’s encouraging to see more women realize they have other options available. In fact, I prescribe fewer prescriptions for oral contraceptives and insert more LARCs every year. Discuss your birth control options, including LARCs, with your Ob/Gyn during your annual exam. Generally speaking, LARCs are a great option for women who don’t want to get pregnant for three years or longer. However, as with any contraceptive method, there can be side effects, so make sure you understand the possible complications. I’m thrilled to see LARCs find a renewed place and purpose in women’s reproductive care. In the future, I hope to see even more outreach in traditionally underserved communities so that more women have the opportunity to access these safe, effective and long-lasting contraceptives. Request an appointment to discuss your birth control options with a gynecologist.